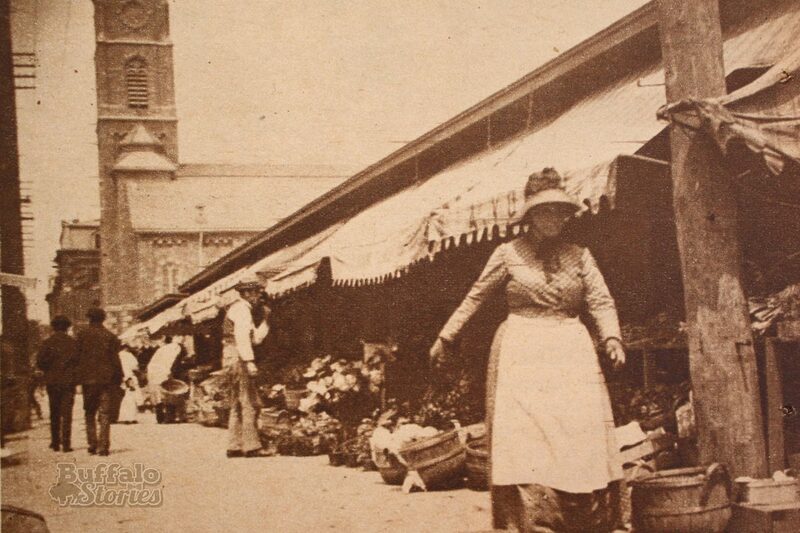 From 1880 to Today: Downtown’s original fresh produce market on Washington St. Recently there has been renewed excitement on the possibility of a Braymiller Market on Washington Street downtown, but the market won’t be the first ever to grace Washington Street. 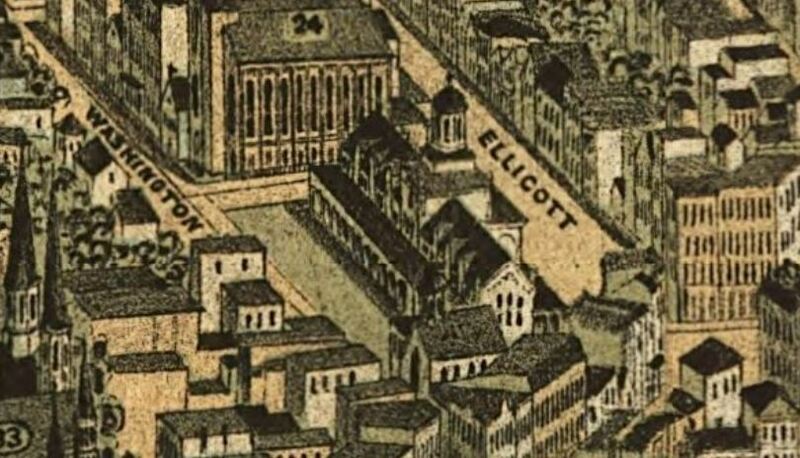 For more than a century, the Washington Market – also known as the Chippewa Market – stood at Washington and Chippewa, several blocks north of the current proposed development, and just south of still-standing St. Michael's Roman Catholic Church. The city-owned market was not only the biggest market in Buffalo, but also one of the largest municipal public markets in the United States. When it was opened in 1856, the area around Chippewa and Washington was on the outer edge of the city, and was a residential neighborhood with mostly German immigrants living there. One hundred years later, changing demographics in the city and the dawning of the supermarket era made the market obsolete. The last buildings of the 109-year-old Washington Market were torn down in 1965 when the city sold the block to Buffalo Savings Bank for $184,000 to be used as a parking lot. Today, M&T Bank owns the parking lot where the market once stood.